The UC Santa Cruz Genomics Institute unlocks the world’s genomic information to drive the next great leap in understanding biodiversity, conservation, and evolutionary biology. The following links below list some of our focus areas. Click on each one to learn more about them. The Genome 10K project, co-founded a decade ago by Haussler, aims to assemble a genomic zoo — a collection of DNA sequences representing the genomes of 10,000 vertebrate species, approximately one for every vertebrate genus. Genome 10K is capturing the genetic diversity of vertebrate species to create an unprecedented resource for the life sciences and for worldwide conservation efforts. Genome 10K’s global community of scientists representing major zoos, museums, research centers, and universities around the world is well on its way to completing its collection of tissue specimens and genome sequences. Genomics Institute researchers led by faculty members Beth Shapiro, Ed Green and Lars Ferhen-Schmitz are also making enormous and exciting progress in paleogenetics, including creating new ways to recover DNA preserved within the remains of organisms that lived hundreds of thousands of years ago. They are developing new experimental and computational approaches to recover DNA preserved within the remains of organisms that lived tens to hundreds of thousands of years ago. Their innovations are helping to revise long-held beliefs about how life came to be, helping to put dates on culturally (and climatically) significant events such as the arrival of bison in North America (NY Times 3/13/17). The Science & Justice Research Center (SJRC) at UCSC, lead by founding director and UCSC Sociology professor Jenny Reardon, works to infuse genomics — and all science — with commitments to justice. It believes science is not just about what happens at the lab bench; it shapes the nature of our present and future. SJRC informs and trains a new generation of leaders who can create science and technology that are responsive to diverse needs and tackle complex, pressing problems, including race, health and social justice, conservation of ecologies and ways of life. By bringing together diverse international leaders, it aims to shape big biodata and precision medicine’s science and justice agenda and broaden the public discussion to address fundamental questions about the right and just constitution of care, trust, and knowledge in an age of biomedical data. The Genome 10K Project was co-founded by David Haussler, along with Steve O’Brien. In addition, they have collaborated most recently with the Theodosius Dobzhansky Center for Genome Bioinformatics of St. Petersburg State University (Russia) and Oliver Ryder from the Zoological Society of San Diego to assemble a genomic zoo. The project will create a collection of DNA sequences capturing the genomic diversity of 10,000 vertebrate species. In addition, the zoo will become a resource for worldwide conservation efforts and the life sciences. The route of cost reduction in DNA sequencing suggests that within a few years, it will be possible to sequence a fully representative set of more than 10,000 genomes. This captures much of the genomic diversity in vertebrate species. Overall, it will become a groundbreaking resource for the life sciences and worldwide conservation efforts. The primary obstacle is lack of a consistent and complete collection of validated tissue specimens. In April 2009, the project launched in a two-day workshop in Santa Cruz, California. They brought together scientists involved with tissue specimen collection to discuss the coordination of efforts. This collaboration eventually helped lay the groundwork for a large-scale sequencing and analysis project. The Genome 10K Project‘s growing community of leading scientists representing major zoos, museums, research centers, and universities around the world is well on its way to coordinating tissue specimens and genome sequences to build a collection of 10,000 vertebrate genomes. Evolutionary and conservation genomics can help us understand what went wrong with extinct species. Investigating extinct creatures, like the passenger pigeon, can help endangered animals by restoring ancient diversity in currently present groups. This type of investigation will allow us to become better at supervising our planet. It will also open doors to new ways of improving human health. Research in Ed Green’s lab explores archaic ancestry in the human genome from our relatives, the Neanderthals and Denisovans. UC Santa Cruz is known worldwide for its strong dedication towards genomics research. Specifically speaking, our efforts in sequencing and publishing the human genome. 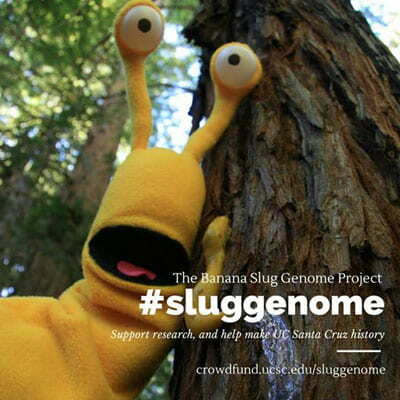 Currently, we are unraveling the mysteries of our slimy mascot– we are sequencing the genome of the banana slug. 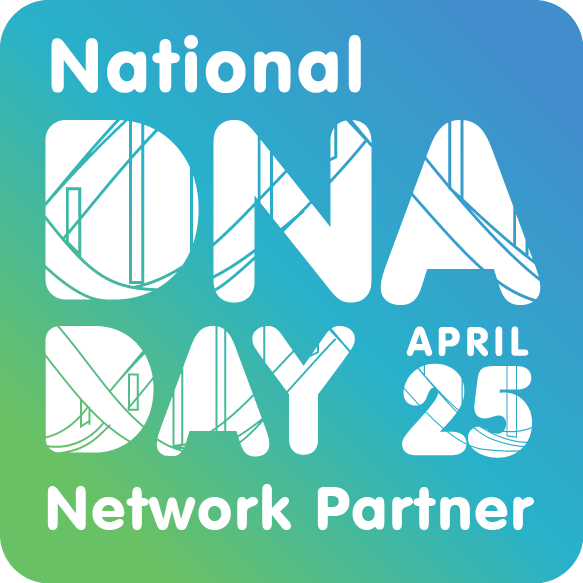 UC Santa Cruz Genomics Institute’s sequencing experts Nader Pourmand and Mark Akeson will use advanced technology to extract DNA from a sample, creating long chains of nucleic acids (A, C, T, and G). UC Santa Cruz undergraduate students will assist them in this method. They take part by helping with sample preparation, sequencing, and developing DNA libraries during the winter quarter. This will be an incredible opportunity for students to be involved in hands-on research. During the spring quarter of 2015, UC Santa Cruz faculty members Ed Green and Kevin Karplus led a team of graduate students. Their work consisted of assembling a genome sequence and annotating the data collected from samples. In the future, their work will make this information more accessible, giving researchers the ability to analyze the extensive amount of data. The students made considerable progress, and many are continuing through the summer. There are significant differences between the banana slug, Ariolimax dolichophallus, and its close relatives. The results of this project provide extremely useful insight on species diversity, with a connection to understanding the evolutionary distinctions in reproductive and sexual behavior. There is not an abundance of information on our unique mascot, but this project will provide extensive knowledge on the slimy species. In addition, this information will contribute to conservation efforts for animals worldwide. To make this feat a reality, the campus undertook a crowdfunding campaign in October and November 2014 that raised $21,443 from 139 donors.